We’ve all had those moments where you just can’t bring yourself to crochet. You have no motivation, none of the projects you pick up seem interesting and you’ve just lost all your crojo (crochet + mojo). Does this sound like you? 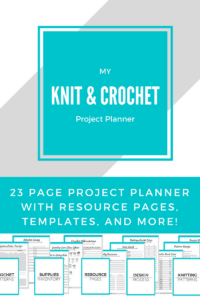 Whether you’re just not in the mood to crochet or all the stresses of life are getting you down, sometimes your favorite hobby can feel like another chore. Running a crochet business has pushed me to find ways out my crochet funk so I can make this business work. Even when I’m feeling lackluster, sometimes I just need to get things done and I need my crojo. 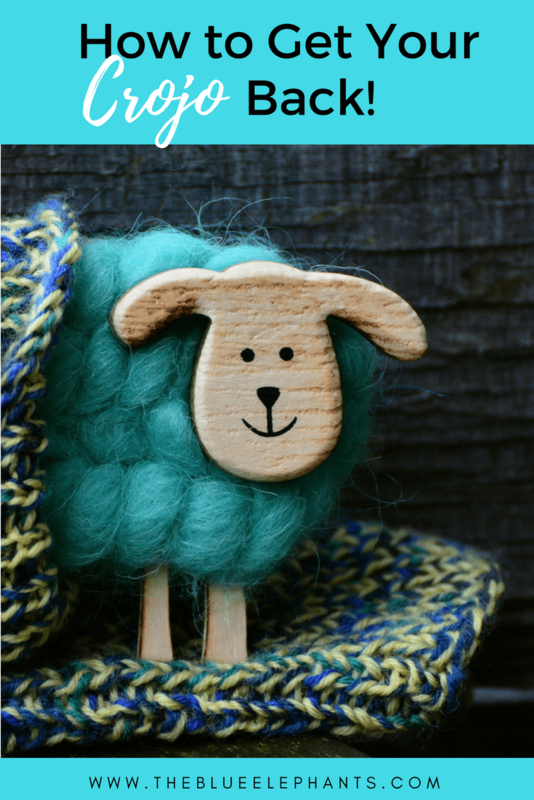 Today, I’m sharing a few crochet tips to help you get your crojo back so you can make fun things you’re excited about! If you’re not feeling inspired by any other patterns you usually choose, look for inspiration from others on Facebook, Pinterest or Instagram. I love scrolling through my Insta feed to see what others are working on and what’s inspiring them. Sometimes, I color combination or a pattern for something I’ve never made gets me excited about crocheting. Some of my favorite accounts are @daisyfarmcrafts, @crochetbytheredagape, @lakesideloops, and @aradiyatoys. I also love Daisy Farm Crafts for the stitch inspiration! 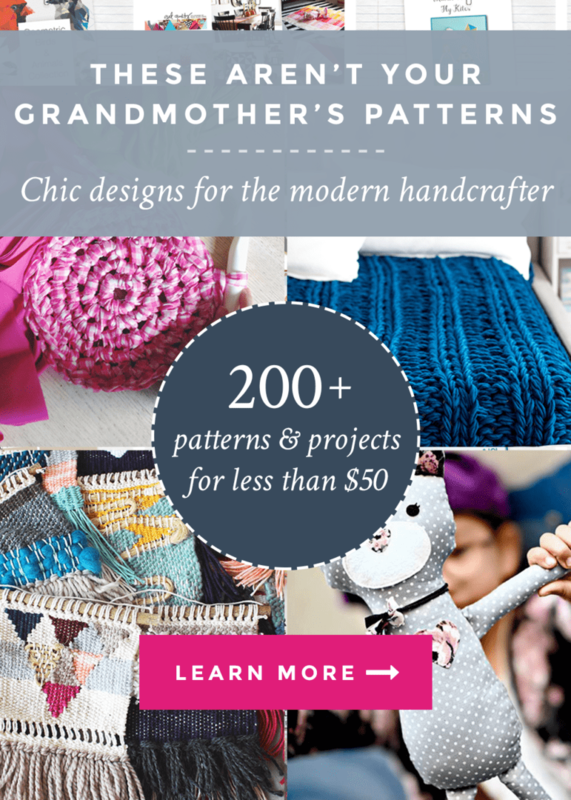 Try Craftsy Bluprint for free and you’ll definitely find some great crochet tips and courses. Another great way to get your crojo back is to work on something familiar and well loved. 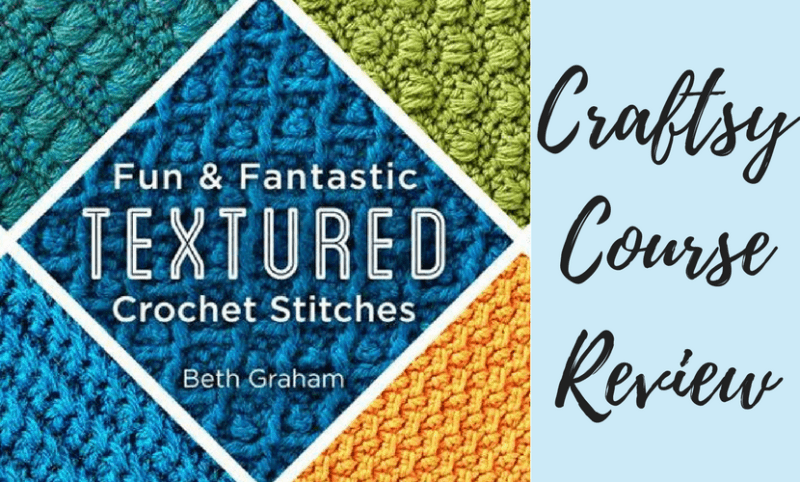 Your favorite sweater or a blanket you love making can be just the thing to snap you out of the funk and remind you what you love about crochet. If you have something that you always enjoy making, but don’t make very often, try working on it now! It could be anything from a mindless project to work on as you watch TV or something a little more special that you never have the time to work on. Take it easy and just enjoy the time spent making it. 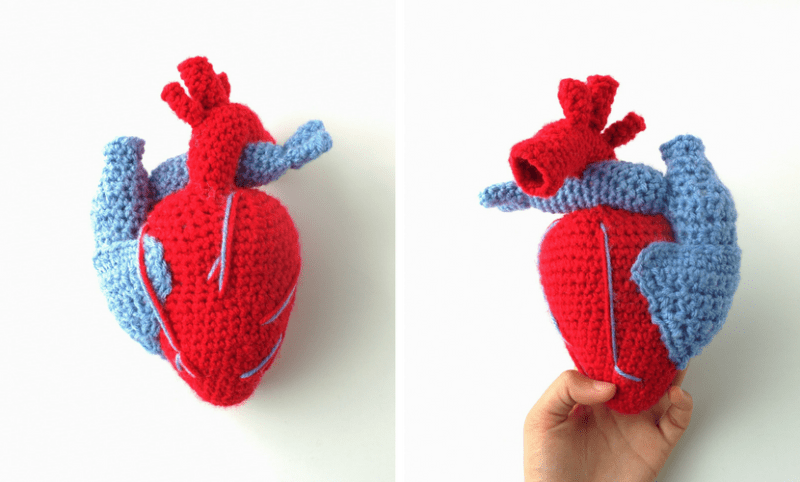 One of my favorites is this crochet heart plushie. I just discovered this one, but having a specific item that you need to make and sell in a dedicated amount of time can really motivate you and help get your crojo back. A few weeks ago, I took on a 16-piece custom order for 8 hats and 8 scarves all to be picked up on a specific date. I did not feel like crocheting, but I was getting paid and the customer was coming to pick them up, so I hustled and got it all done. Having that deadline and a solid, tangible motivator (the payment) really forced me to get past my crochet block. Once everything was done, I kept going! I had built up some steam so why not finish the projects half done I hadn’t gotten to all summer? This might not be for everyone, but it sure worked for me! Along the same lines as #2, try another craft. Learning a completely new skill from the start can spark enthusiasm, and it can be a nice break from crochet. When I was in a rut, not feeling inspired by crochet and completely unmotivated to work on the ideas I did have, I found myself looking up a lot of embroidery designs. It made me happy, and I wanted to stay creative. So I claimed the free Craftsy class I got with my purchase of the Handmade with Love Super Bundle last year to start embroidery. There’s a lot included in that bundle and it is limited time, so you can find out more about it here. Trying something new was exactly the thing I needed to take a break from crochet and still feel productive and inspired. 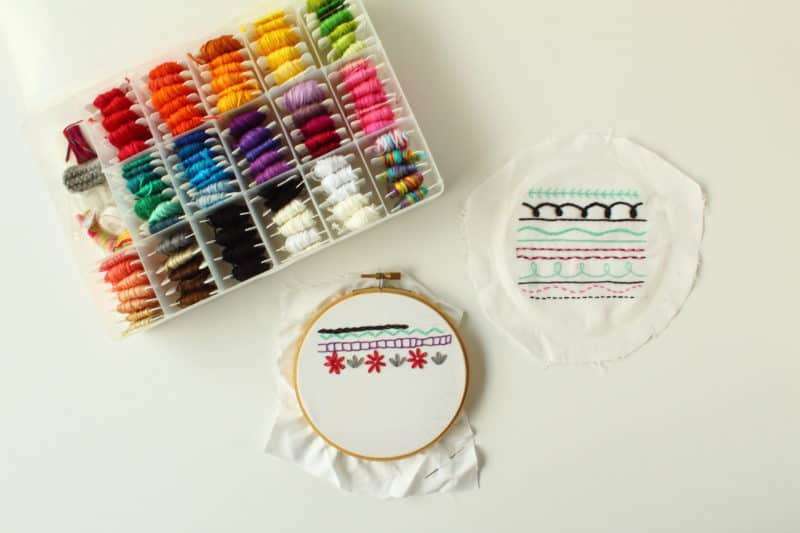 Here are some of the samples I made using this basic embroidery class on Craftsy. (you can try the class for free if you sign up with Bluprint). I’ll share the design I chose once I finish it! What do you do to get your crojo back? 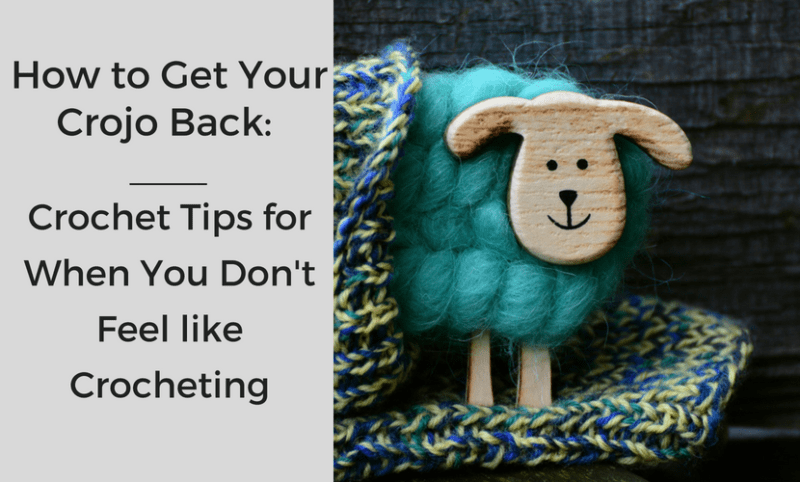 Those are some of my favorite crochet tips for getting my crojo back, but everyone is different. For me, it’s all about doing something, even if it’s not crochet. 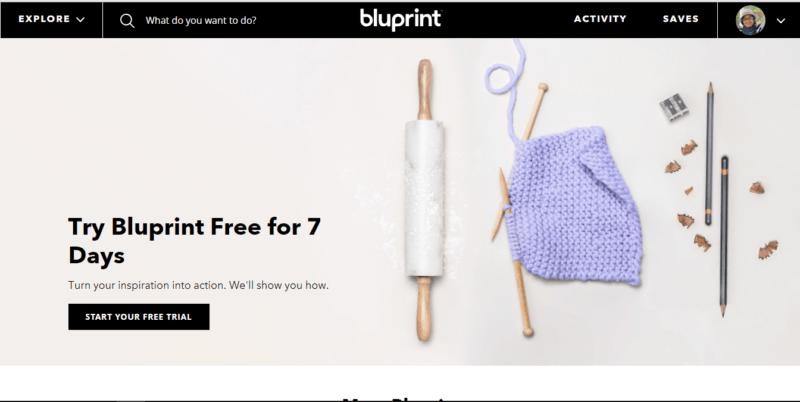 Craftsy is one of my favorite websites and now that they have Bluprint, I am always looking for new things to learn on there. They have classes on everything from crafts to cooking, photography and even ballet! 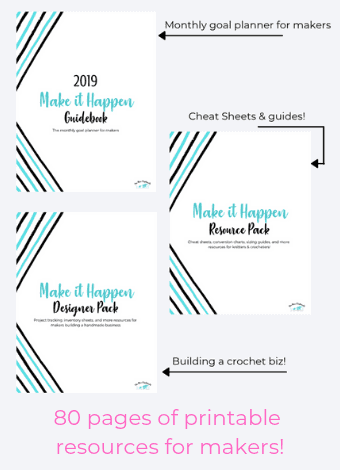 If you’re anything like the craft junkie I am, I highly recommend you take a look and see what new skill you can pick up in a week with that free trial. If you love it, great! But if not, go ahead and cancel at no extra cost. What do you do to feel inspired and excited to crochet again? Let me know in the comments. Thanks so much for reading and hanging out with me today. If you liked this, subscribe down below for more tips, freebies and patterns delivered right to your inbox. These are great tips. I’m pretty lucky, I don’t think I’ve ever lost my cojo, but then I do loads of different crafts and mix things up all the time. I finished my last crochet project about 3 weeks ago and the hooks are calling to me again now! Hi Carolyn! That’s a long time, I can imagine how fristrating that is. Maybe try working on a smaller comfort project to get you unstuck. A throw is a lot of time a s commitment, so give yourself the quick win of a something like a beanie.